Sumo is both an exhilarating sporting event and a fascinating cultural experience, and it’s worth going out of your way to attend a sumo tournament (basho) when you visit Japan. The only problem for travelers is that the official tournaments only take place 6 times throughout the year, which means that for most travelers attending a basho ends up being impossible. The best way to experience sumo is by attending one of the official basho (sumo tournaments), which take place 6 times each year in locations across Japan. There are other ways to experience sumo as well, such as by going to one of the sumo exhibitions held in between sumo tournaments, or visiting a sumo heya, where the rikishi (wrestlers) live and train. For information on non-tournament sumo events and exhibitions, consult the official Nihon Sumo Kyokai website. As for attending a morning practice, you can try and figure it out on your own, or for a much more painless experience book a morning sumo training tour. Visiting a sumobeya for morning practice is especially exciting, but for the quintessential sumo experience there’s nothing like attending a sumo tournament. The official sumo basho take place 6 times each year, beginning in January and then occurring every other month. 3 of the 6 sumo tournaments take place at the Kokugikan sumo arena in Tokyo’s old-fashioned Ryogoku neighborhood, with the other 3 held in Osaka, Nagoya and Fukuoka. Below is a list of each sumo basho, and where and when it takes place. Each basho lasts for 15 days, beginning and ending on Sundays (dates vary from year to year). For the exact dates of each tournament, here is a link to the Japan Sumo Association’s official sumo schedule. When attending a sumo tournament you have the option of sitting in modern stadium-style chair seats, or on traditional Japanese-style floor cushions. For the full Japanese experience we recommend the latter, though if you’re very tall and/or concerned about sitting on the floor (albeit on cushions) for relatively long periods of time you may prefer to opt for the chair-style seating. To help you decide, we’ve put together the essential details about each seating option below. If you’re hesitant to sit Japanese style, on the floor with cushions, then arena-style chair seating may be your best option. In addition to the familiar comfort of a chair, these are also the least expensive seats at sumo tournament venues. The drawback is that they’re the furthest back from the action. However, sumo tournaments are small enough that the dohyo (the ring) is never too far (if you’re concerned about being able to see, bringing binoculars is a good idea). Arena-style seats are available in A, B and C categories, with A being the closest and C the furthest from the dohyo. 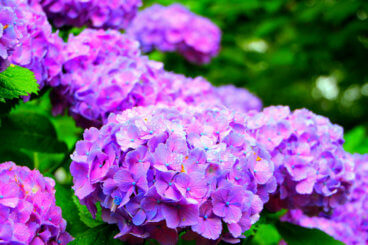 Prices range from about 4,000 yen to 9,000 yen. Box floor seating is perfect if you’re looking for a completely Japanese experience. You remove your shoes and sit Japanese-style on cushions. Box floor seats also provide a great vantage point from which to witness the action. All box floor seats are closer to the action than the above-described arena-style seats. The one thing to be wary of when it comes to box-style seating is that the space is quite small, so even though most boxes are designed to accommodate 4 people, many people opt to split these 4-person boxes between just 2 people. If you’re tall – or simply want enough room to stretch out your legs a bit – then this is a great idea, as it can make things much more comfortable. Unlike arena seats, boxes are sold per box, not per person. They come in a variety of sizes, primarily designed for groups ranging from 2-4 people. It’s not possible to buy an individual space in a box – you must purchase the whole box. They’re available in A, B and C categories, with A being the closest and C the furthest from the dohyo. Prices range from about 10,000 to 12,000 yen per person. Ring-side floor seats are very difficult to obtain, thanks to high demand, and can in general only be obtained via special connections. If you’re taking a custom trip with us and would like to try and obtain ring-side seats, we will do all we can to try and obtain them for you for your desired dates. Unfortunately, if you’re making the arrangements on your own it may not be possible to obtain these unless you are very lucky! If you are planning a custom trip with us, we’ll make all the arrangements for you to attend sumo. But if you’re making the arrangements yourself, here is some key information to help you obtain sumo tickets. 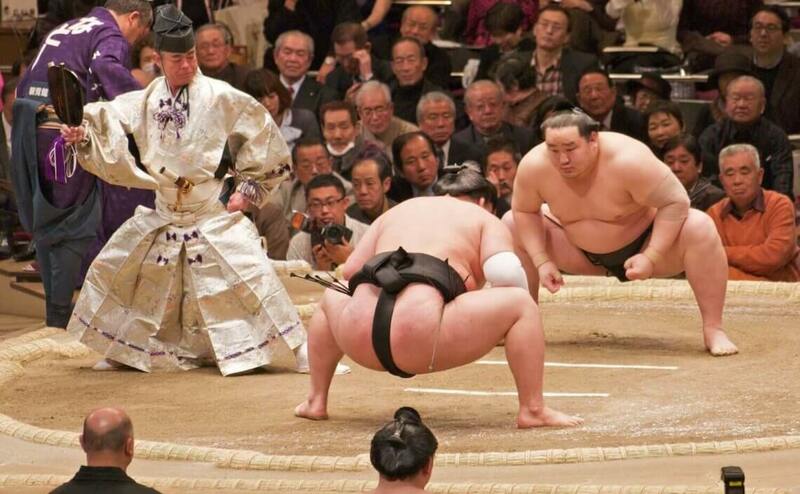 The first and most important thing is, of course, to make sure your travel dates overlap with one of the sumo basho. The next step is to decide on your preferred type of seating and ideal budget for tickets. If you know for sure that you’d like to attend a sumo basho, we highly recommend purchasing tickets in advance. If you’re not in Japan, one of the easiest ways to get sumo tickets in advance is through a company like Voyagin or BuySumoTickets. Sumo tournaments don’t always sell out, but on weekends – and particularly on the final weekend of the basho – tickets may sell out, so it’s best to make advance arrangements. You can also purchase tickets at the sumo basho venue or at convenience stores throughout Japan (at convenience stores the automated system is in all Japanese, so this option may require some patience!). Sumo is an all-day affair, but most spectators skip the morning matches and arrive in the mid-afternoon, when the higher-ranked rikishi (wrestlers) begin their matches. If you arrive in the morning you’ll find a relatively empty venue, but you’ll be able to see some of the lower-ranked wrestlers going up against one another. Unless you would like to spend the whole day at sumo, we recommend arriving in the early to mid-afternoon. This is when the atmosphere begins to electrify, as the venue fills up and the most skilled wrestlers begin their matches. The climax takes place when the two highest-ranked wrestlers face off in the concluding match (right around 6:00 pm). If you’re attending sumo make sure to be there for this part of the day, but it’s best to experience at least 1-2 hours of matches beforehand to get the complete sumo experience. The sumo experience would not be complete without some beer, snacks and sake. It’s almost a tradition to have a few drinks while watching sumo, though certainly not a requirement. You can also preorder special bento boxes to enjoy at the event. We hope our guide to seeing sumo in Japan helps you make the most of your Japan trip!